When I meet with brides, they often tell horror stories about a recent wedding they attended (often as a bridesmaid) that was ruined by a terrible DJ. They start our conversation by spelling out what they don’t want at their own celebration! Sometimes brides don’t hire a professional, because they over-spent on other items (food, flowers, decorating) and don’t have enough left in the budget for a professional Master of Ceremonies. So they hire the low bidder, and live to regret it. LESSON LEARNED: A friend may mean well, but often will not treat their important role in your wedding as seriously as a professional. Avoid hiring the FOAF. SECONDARY LESSON: It’s more than just music! Notice, she said the music was “decent,” but she hated the DJ anyway. You need someone with a gift for public speaking, who can manage the mood, the flow, and the energy of your event, not just play music. LESSON LEARNED: Some DJ companies you find on the Internet are only booking agencies, skimming a commission and contracting the cheapest DJ they can get, who often lacks the critical experience needed to do justice to your wedding. LESSON LEARNED: ALWAYS meet your DJ face to face! These days many people try to take care of things online. That works for buying a product. But when contracting for a service, especially one that requires talent and experience, you need to meet them in person. Your DJ and MC will be the “Voice” of your celebration, the host who represents your family. This is one vendor you should always meet in person. LESSON LEARNED: Professionals must earn a living from good referrals, and will always behave in a professional manner. An amateur doesn’t care about his reputation. Amateurs and wanna-be’s should be avoided! OVERALL LESSON: Always get references, and contact them! I always provide extensive references to brides. 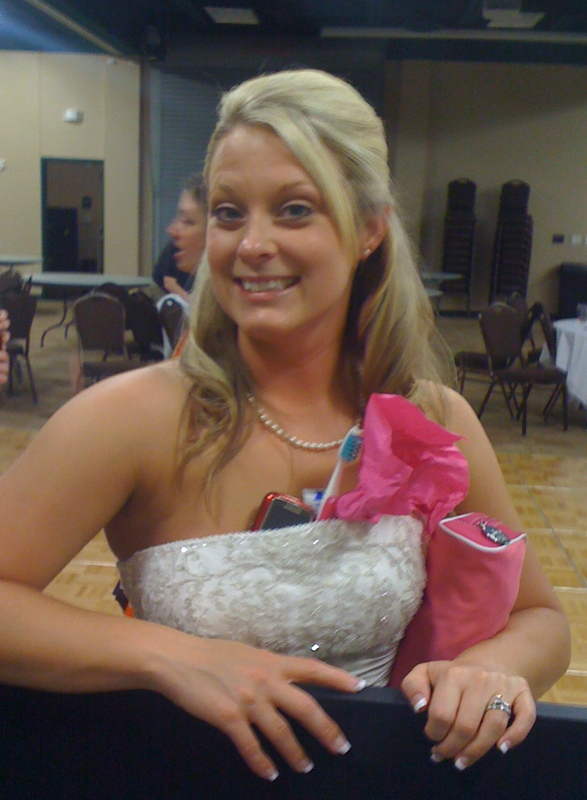 I find that most brides never check them (although often Daddy-with-the-checkbook will!) 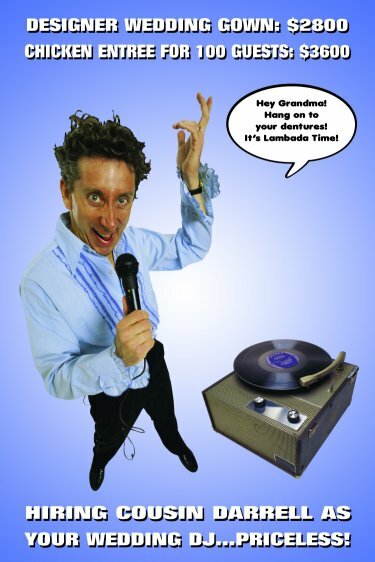 The best way to avoid “Cousin Darrell” is to hire vendors with outstanding recommendations. Take the time to check references, and your wedding won’t become another horror story! And NO, the professionals are not unaffordable! Experienced professionals always have offerings for their low-budget clients, and care enough about you to work out a package that fits your budget. We understand that every bride deserves her special celebration! When you make your living at this, you must not only be good at it, but must strive to exceed the customer’s expectations. Only then can you enjoy the kind of reputation that has made the Party Machine the top choice of event professionals for 35 years! At Party Machine Celebrations, we always meet with brides, grooms, parents and wedding coordinators, in person and face-to-face. I will always be your MC, not some trainee. Your wedding will be impeccably planned so it will turn out just the way you want it – Your Wedding, Your Way! And PM Celebrations staff will always adhere to the American DJ Association Code of Professional Conduct. 23) Listen for the Squawks! I love to fly. 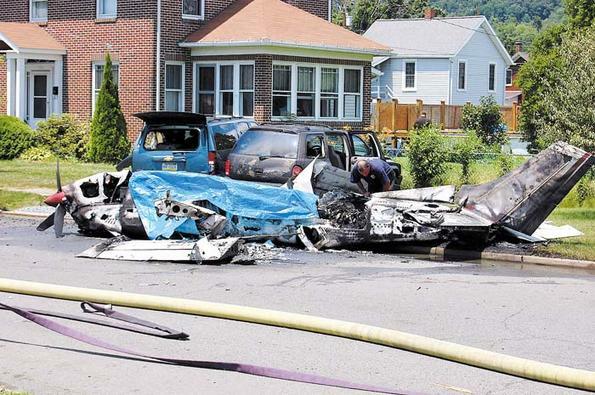 I have friends who are pilots, and have flown with them in small planes on numerous occasions. Today’s lesson was learned from pilots, but has served me well in the entertainment business. The aircraft must be maintained 100 percent. Every time a plane takes flight, it has to be perfect from a safety standpoint. 100% safe; if it’s only 98%, the plane must stay on the ground. A little thing like a loose connection could cause a tragic accident. So a pre-flight safety check must be performed before each and every take-off. And every squawk must be investigated and repaired, before the plane flies again. This is a great way to maintain anything. With sound, lighting, and video systems, there are many little things that could go wrong. One bad cable could spoil a presentation. So we began tracking “squawks” at Party Machine Celebrations. Failure to fix squawks can lead to disaster! By keeping equipment impeccably maintained, and replacing gear as technology improves, we are able to maintain our perfect 100% service record: we have never had an event that started late, or was delayed by a technical malfunction. Never. In 35 years, we have certainly experienced technical difficulties! But because of redundant systems, the show always goes on, without a delay. But we don’t have many technical problems, because paying attention to the squawks prevents them from happening in the first place. Music can have an amazing effect on people. It can recall powerful memories. It can create a mood, for relaxation or for celebration. It can stir up deep emotions: feelings of love, or nationalistic feelings of pride. When playwright William Congreve first penned the opening line of The Mourning Bride in 1697, he had no idea we would still be quoting him 300 years later. 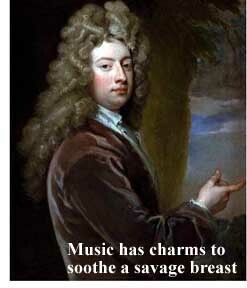 Nor could he have predicted the massive explosion of different genres of music we enjoy in the 21st century. In his time there was formal classical music, and there was local folk music. There was no mass communication, no radio, TV nor “the Internets.” There was no means of recording music; in fact, the only way to publish music was the printed page, a technology scarcely 86 years old, at a time when literacy, especially music literacy, was uncommon. There was Bach and Mozart, Beethoven was a young man, and Brahms, Chopin, and Mahler were not yet born. He could never foresee the development of American country music, rhythm and blues, jazz, or rock and roll. The rich fusion of African, Caribbean, and Latin music that permeates today’s dance floors was never imagined back then. And who could have predicted hip-hop, even 50 years ago? Congreve never knew Elvis, the Beatles, nor Beyoncé. He never would have understood the fan following of the Grateful Dead, Phish, Willie Nelson, or Jimmy Buffett’s parrotheads. The concept of George Strait filling an arena with fans on a cold New Year’s Eve, year after year after year, was unimaginable. And how could you explain Kanye West, the artist formerly and once again known as Prince, or P Diddy to a 17th century man? Or grunge, punk, funk, 80s hair metal, or Lady GaGa? What about Techno, trance, and house music? Now we turn to music all the time: in our cars, at our desks, while we work and while we play. Digital technology has made music portable and plentiful. Everyone today has an iPod, and can plug in to a unique musical world of his own choosing. Listening to music of our own choosing is easier today. We love our music! It’s powerful stuff. Of course, Party Machine Celebrations has it all. One response to “What’s the weirdest thing you’ve ever seen at a wedding?” This was the big question at the Southwest Entertainer’s Conference a few years ago. I did a Peruvian wedding, and saw for the first time an Afro-Peruvian dance they call “the Alcatraz.” The bride had a napkin tucked into the sash of her gown, such that it resembled a tail. As she danced, a man followed behind her with a lighted candle, trying to light the napkin on fire. The bride’s goal was to shake her booty so fast that he couldn’t light her fire. Here is a comical attempt at the Alcatraz I found on YouTube, using a Bic lighter. I wonder if the classic Doors song “Light My Fire” was inspired by a Peruvian wedding? Thirty-five years of the Party Machine has taught me to never assume I have seen everything! Somewhere, there is always something else that’s just plain weird. Everyone’s getting into the act! It’s safe to say there has been a Groom’s Cake for every major university. 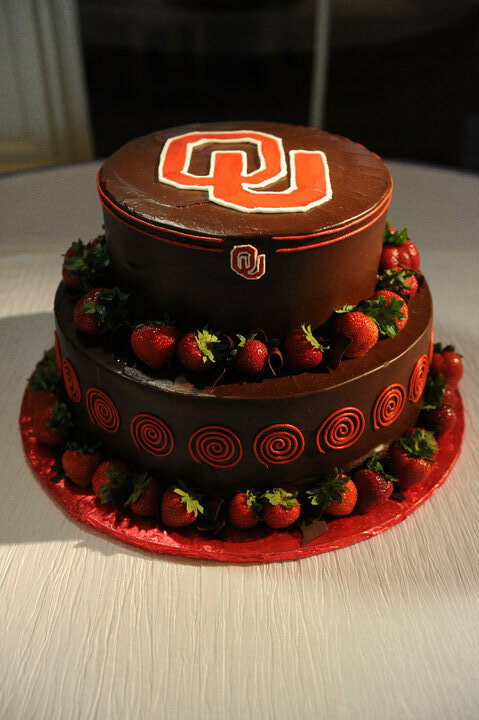 Sooners want in on the college cake trend too! Not Only Big, But Talented! One of my favorite events in recent memory was Bill and DeeDee Whittle’s wedding at the Petroleum Club of Fort Worth. Loyal Blog readers may remember DeeDee for being child number 18 out of 20 siblings in the Jack Joachim family. Not only was this family big, but there was plenty of talent to go around on both sides, and the wedding guests were the beneficiaries. I introduced Bill and DeeDee as they made their Grand Entrance to thunderous applause, and walked onto the dance floor. 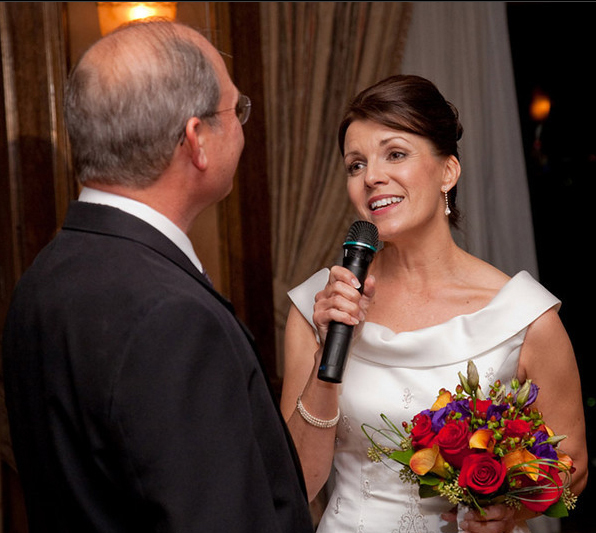 But instead of beginning their first dance, DeeDee grabbed a microphone and sang “Wedding Bell Blues” with custom lyrics to her new husband Bill. We specialize in doing unique Grand Entrances when we introduce the wedding party, but it’s rare to have a singing bride. And there was an issue with the song, because the woman singing is sad that Bill refuses to marry her. DeeDee re-wrote the lyrics to say, “So Glad You Married Me, Bill,” and I made her an edited background track with vocals removed. This bit of showbiz prep was well worth the effort. DeeDee (whose given name is Mary, but she says she didn’t find out until she was 12) has a magnificent voice, and belted it out with style and grace. Bill jokingly refers to the quartet as “The Four Stages of Male Pattern Baldness,” and they sang the old doo-wop hit Blue Moon, also with modified lyrics. 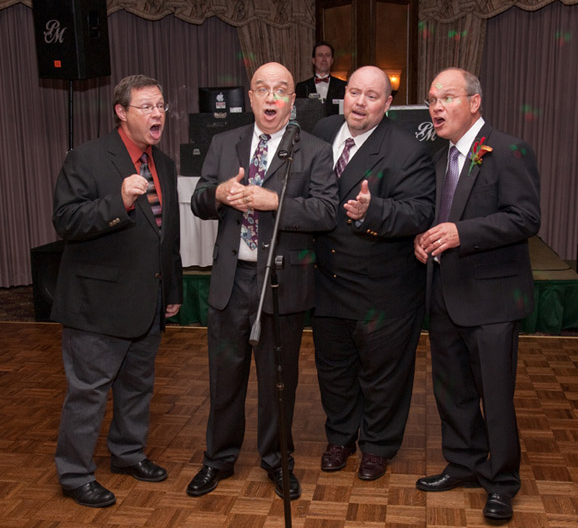 The harmony of barbershop singing required two men to keep repeating the two-note background chorus, which came out, “DeeDee, DeeDee, DeeDee.” The result was hilarious. As their performance ended, a young boy came up to them with a request written on a napkin. H J said he wasn’t sure if they knew “Low” by Flo-Rida, but I did, so we kicked off the dancing and Shawty got low, low, low, low…and DeeDee showed ’em how it’s done. That is DeeDee’s other son Mathias who tries to swipe the credit card. The two brothers are roommates at Texas A & M, and avoided discussing football after the Aggies got whooped earlier on the wedding day, but they seemed to enjoy themselves anyway. Special thanks to “Video Keith” Mathis for this footage, who also produced their photo montage. I look forward to more fun events with this family! Starting A New Wedding Tradition? Hey, a perfect smile like Brooke’s requires maintenance!